Not watching the new season of Glee is punishable by slushie. After being doused in the cold drink by the cool kids, the McKinley High glee club is taking revenge on their attackers. According to Vulture, FOX plans to use the image of slushing in print, on-air and online ad campaigns for the show. 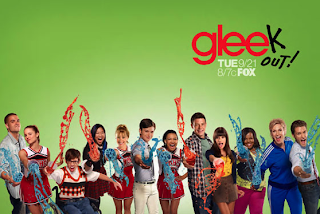 Glee's iconic image will be thrust across your computers and television screens, engaging you in the spirit of the show. What do you think of the campaign?